Maria Chiara Scappaticcio (ad. ), Per i testi latini. Prime riflessioni sul fondo inedito di Robert Marichal, Turnhout, 2018. 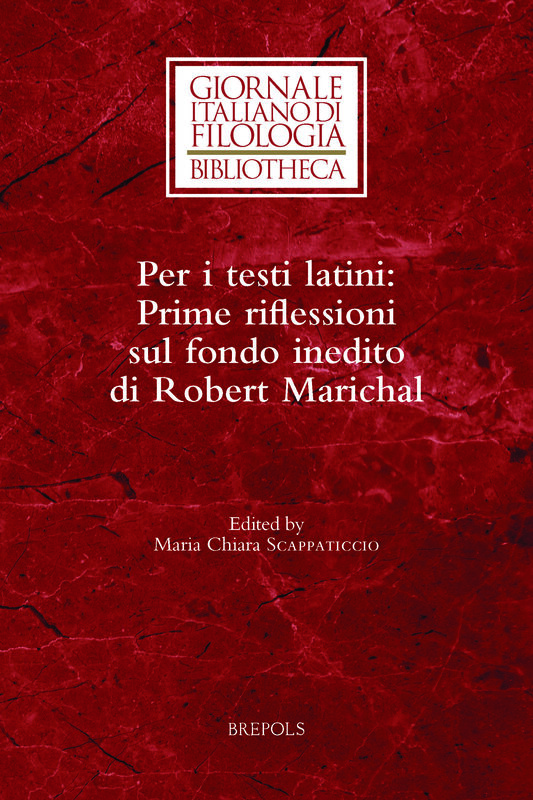 Robert Marichal (1904-1999) was one of the most famous Latin paleographers of the Twentieth Century. His broad production is precious and well-known by scholars from all over the world, but his recently discovered Archive at the École Pratique des Hautes Études (Paris) offers a further and impressive contribution to the knowledge we have of ancient Latin texts, from Latin papyri from Herculaneum, to Latin ostraka from Northen Africa, and to Latin graffiti the ancient Latium and Campania. This volume moves from the pioneer work on this Archive by the ERC project PLATINUM. It collects eight papers from leading specialists and highlights how promising is the work on such an unpublished Archive.